THY CATAFALQUE are premiering the second amazing song taken from their forthcoming new masterpiece, ‘Geometria’. The album is scheduled for release on May 4th, 2018. The artwork of ‘Geometria’, which has been created by Tamás Kátai himself, can be viewed below. THY CATAFALQUE do not pretend to produce easy-listening music that comes as easy as it quickly fades out of the mind again. ‘Geometria’ demands to be listened to with full attention, but with every new spin this masterpiece reveals more of its secrets and rewards the listener with a rich treasure of fascinating details. On their fourth full-length, ‘Róka hasa radio’ (2009), THY CATAFALQUEinvited Ágnes Tóth from neo-folk outfit THE MOON AND THE NIGHTSPIRIT to add her haunting female vocals. With fifth album ‘Rengeteg’ (2011), Tamás Kátai finally went solo with the help of hired guest musicians that again included Ágnes Tóth. Dubbing his eclectic musical amalgamation avant-garde metal, the Hungarian explored new sonic possibilities with ‘Sgúrr’ (2015). The sixth full-length turned out to be slightly more complex than its successor, ‘Meta’ (2016), which returned to a more direct approach without losing the steadily growing sonic diversity. Originally, THY CATAFALQUE emerged as a black metal band founded by singer Tamás Kátai with the aid of guitarist János Juhász. Following their joined debut ‘Sublunary Tragedies’ (1999), the Hungarians evolved into quite different directions, but steadily gaining more followers in the process through the following albums, ‘Microcosmos’ (2001) and the self-released ‘Tűnő idő tárlat’ (2004). Yet, THY CATAFALQUE come out as a sonic entity far more than just its combined parts. What could quickly end up as an academic exercise and meaningless jumble comes in fact across with emotional depth and beautiful soundscapes that render the seams of their components invisible by ingeniously fitting every tessera into a greater musical picture. 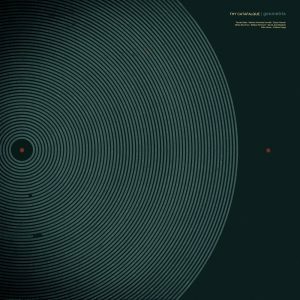 THY CATAFALQUE are delivering another spectacular musical mosaic with their eighth full-length, entitled ‘Geometria’. The project’s sole mastermind, Tamás Kátai has one again assembled pieces out of such diverse genres as ambient, folklore, jazz, metal, electronica, rock, pop, wave, and other styles that each taken for itself seems not to fit easily to the other parts.